*With approved credit. Estimated monthly payment based on $2,050 down, 72 months at 5.9% APR. IIHS Top Safety Pick. Delivers 25 Highway MPG and 18 City MPG! 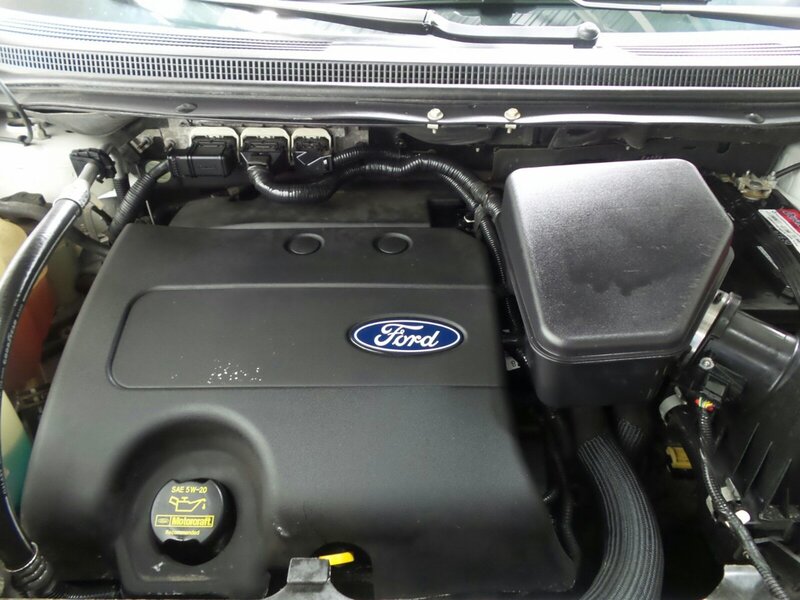 This Ford Edge boasts a Gas V6 3.5L/213 engine powering this Automatic transmission. Wood appearance instrument panel appliques, Universal garage door opener, Tire pressure monitoring system. SYNC w/MyFord Touch -inc: (2) 4.2" LCD displays in cluster, 8" LCD touch screen in center stack, (2) USB ports, SD card reader, video input jack, 5-way steering wheel controls, Bluetooth capability, USB port, audio input jack, 911 assist, vehicle health report, turn-by-turn navigation, real-time traffic, SYNC voice-activated communications & entertainment system -inc: Bluetooth capability, steering wheel audio controls, USB port, audio input jack, 911 assist, vehicle health report, Supplemental park lamps, Sony audio system -inc: AM/FM/CD stereo w/MP3 capability, (12) speakers, HD radio, Solar tinted front door window glass, Sirius satellite radio w/6 month subscription -inc: (6) month subscription *N/A in AK or HI*, Side-impact air bags, SecuriLock encrypted passive anti-theft system (EPATS), SecuriCode body-colored illuminated door entry keypad, Second row reclining 60/40 split fold-flat bench seat -inc: EasyFold seat release, fold-down armrest w/(2) cupholders. Ward's 10 Best Engines (applies to 2.0L Ecobost DOHC I-4), IIHS Top Safety Pick, KBB.com Brand Image Awards.